Easily set up this portable metal disc golf set at a picnic, outdoor party or beach. Ideal for all skill levels. 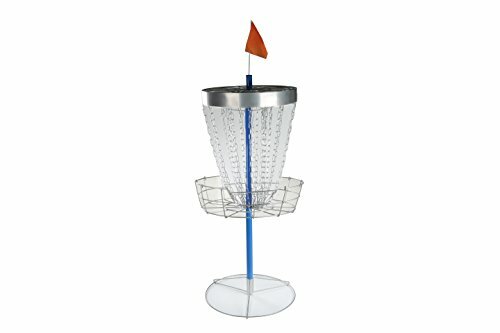 Disc golf basket with trapper basket and double chains is easy to assemble, no tools needed and instructions included. The disc golf Starter kit is great for practicing in your back yard or take it on the go and use it at picnics, barbeques, or outdoor get together. The disc golf Starter kit is a great alternatives to corn hole, Horseshoes, or Kan- jam. Made with durable and weather resistant materials, this fun outdoor game of skill is sure to be a winner. By Trademark Innovations.